Sports massage is designed to help optimize the body for whatever it needs to accomplish. The techniques used in a sports massage session such as deep tissue work and stretching help prevent injury and promote a quick recovery after long hours of competing or training. You don’t have to be an athlete or even a weekend warrior to find benefit in sports massage! Do you spend long hours in your day doing specific actions such as sitting in front of a computer typing? If so then you can consider yourself an office athlete and it is important to keep your body in shape so that you can continue to perform well at your job for as long as you need to. Your therapist will focus on a specific issue or area depending on what your needs are at the time of the session and will use a combination of techniques that may include myofacial release, trigger point therapy, stretching and deep tissue massage (they may also use pain relief creams, tools and other techniques not listed here depending on their training). Their goals will also depend on your particular issues but many times they will be focusing on increasing range of motion, releasing and balancing muscles to prevent muscle tears and pulls and of course decreasing pain. When is sports massage the right choice for you? When you have a particular issue that you need focus work on such as an injury or a chronic issue such as wrist pain from typing for long hours or knee pain when running. 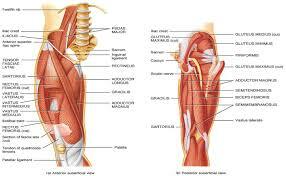 Also if you feel that tight or unbalanced muscles are holding you back from performing optimally. You can always check in with your massage therapist to see if a sports massage session might be right for you. Interested in booking a sports massage session? Email Julie at wonthebody@gmail.com and book today!